Today I wanted to share with you one of my favorite lunch recipes. You can change this recipe up to fit your tastes (and/or dietary needs), but this is the way I make it most often. I usually eyeball it, so I tried to get measurements this past time I made it. 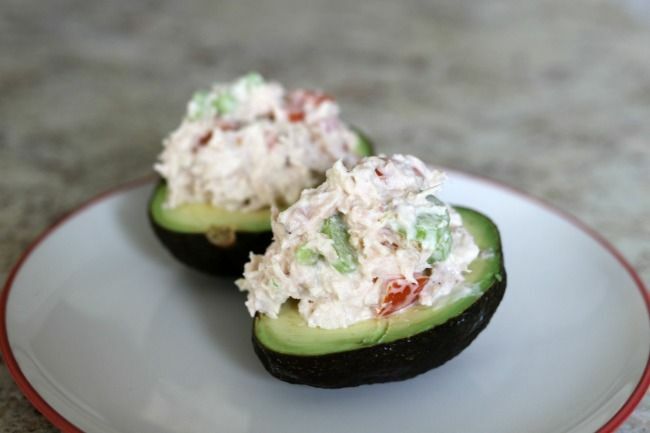 I give you tuna-stuffed avocados. Stir together all ingredients in a bowl. 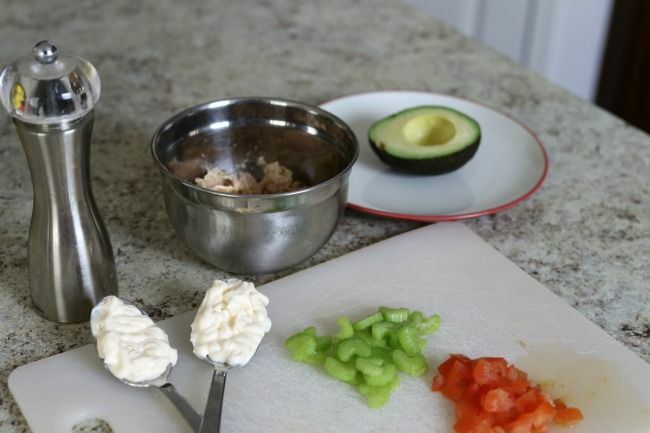 Divide tuna mixture evenly among avocado halves and enjoy! This recipe is super easy to make and also very delicious to boot! What is your favorite avocado recipe? 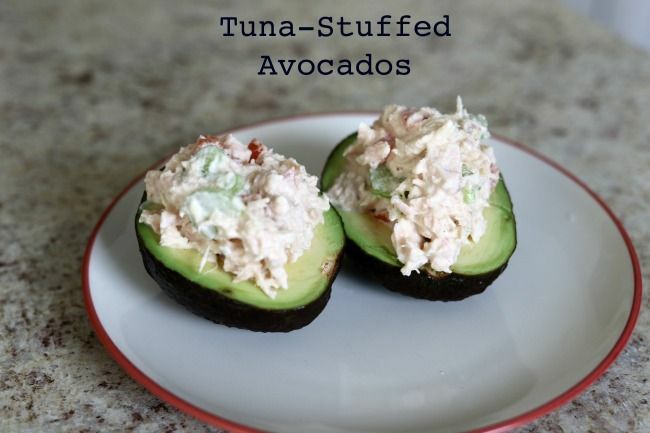 Try my previous recipes with avocados & tuna here: bacon bits & egg stuffed avocado, avocado toast, toast with hummus & avocado, & lettuce wraps.